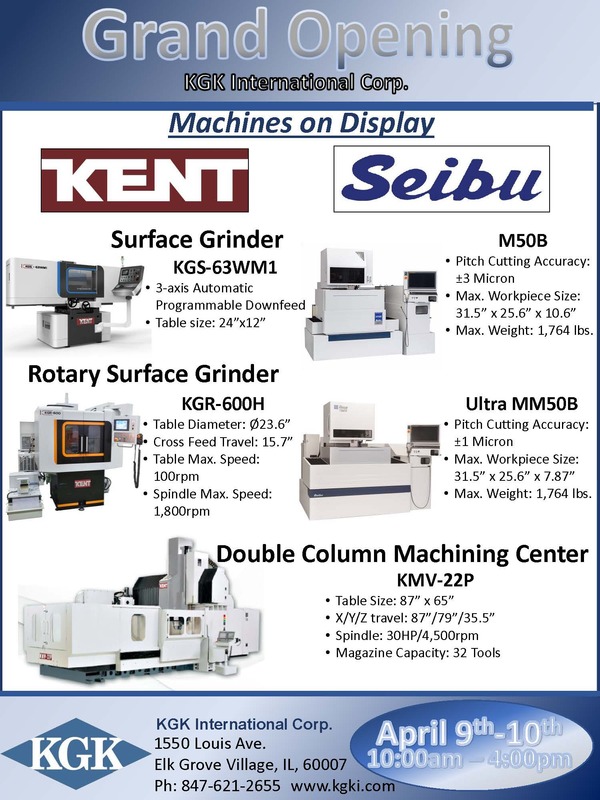 See Kent's Surface Grinders, Machining Center, and Seibu's Precise Wire EDM machines. Our Open House will be on April 9th and 10th between 10:00 a.m. and 4:00 p.m. Call 847-621-2655 to RSVP. 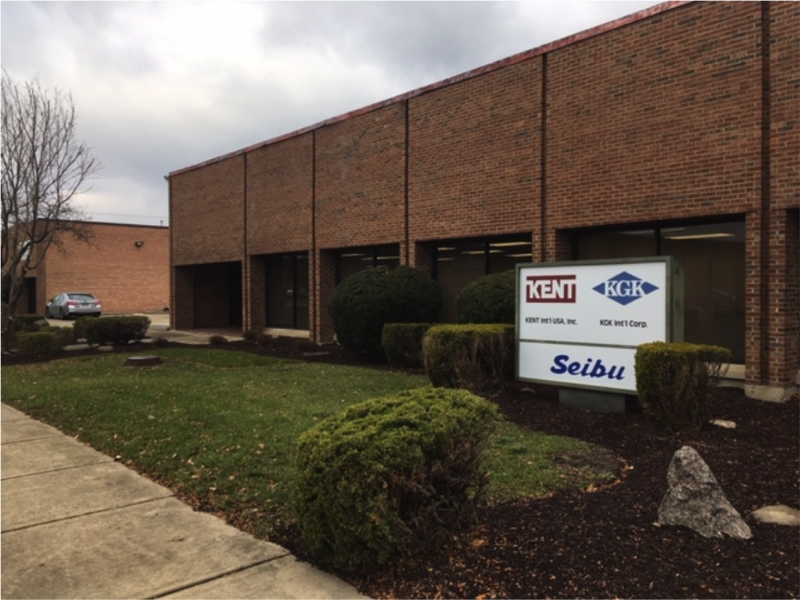 Posted on February 11th, 2019 by KGK International Corp.
We are please to announce the relocation of our office due to business expansion on November 15th, 2018. Please kindly note our new office address and new phone numbers below. We would like take this opportunity to express our appreciation for your assistance and look forward to your continuous support. 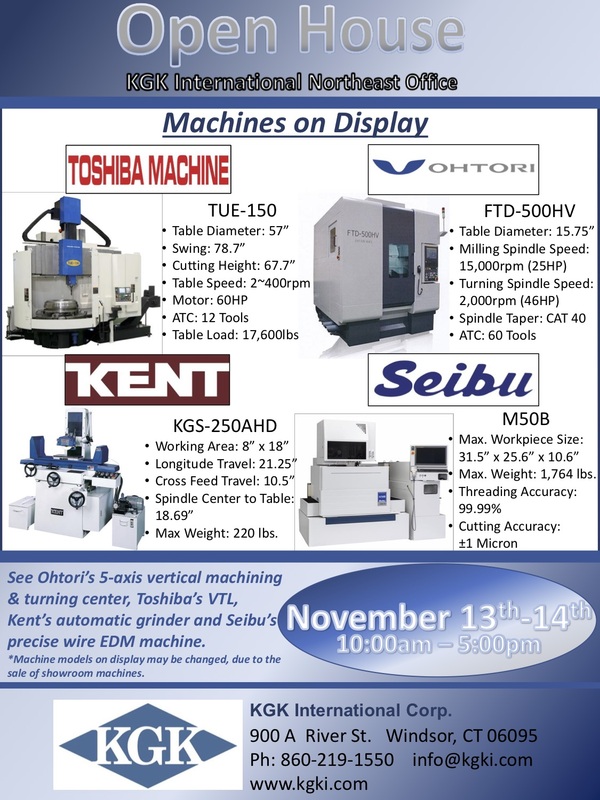 Posted on November 19th, 2018 by KGK International Corp.
See Ohtori's 5-axis vertical machining & turning center, Toshiba's VTL, Kent's automatic grinder, and Seibu's precise wire EDM machine. Posted on September 21st, 2018 by KGK International Corp.